We intend to develop the data centre so that registered users can select data directly from the database themselves, and have it emailed to them. While this system is under development, the current data holdings are listed on this page. At present, the available data consists of CTD profiles and transects, and sea level data. 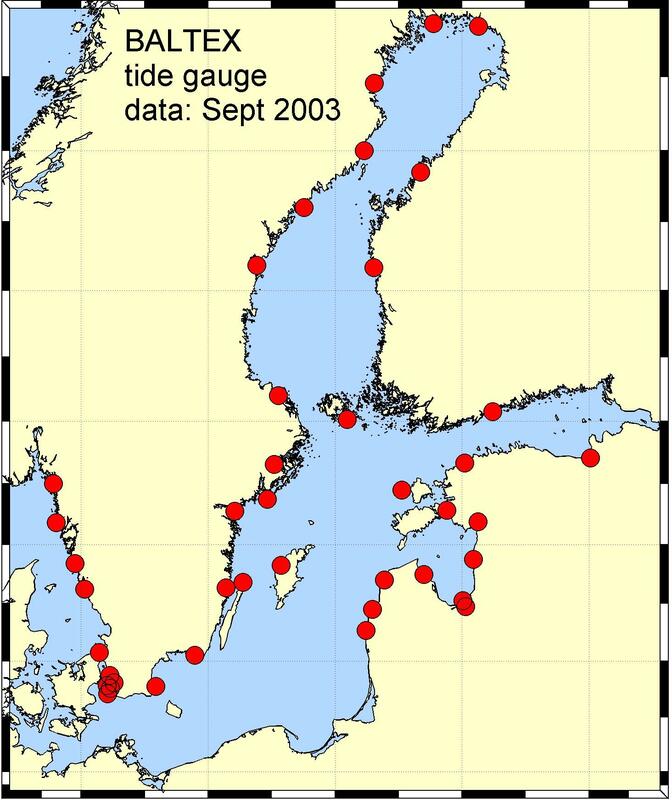 Click here to see the sea level data holdings. 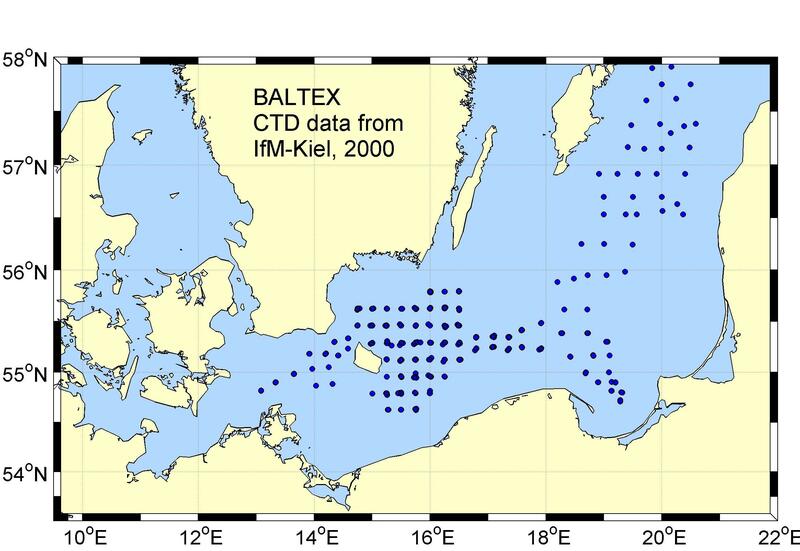 Click here to see the CTD data holdings. CTD data have been contributed to the data centre by Andreas Lehmann, of IfM-Kiel, Jan Piechura, from IO PAS, Sopot, and by SMHI, Göteborg. 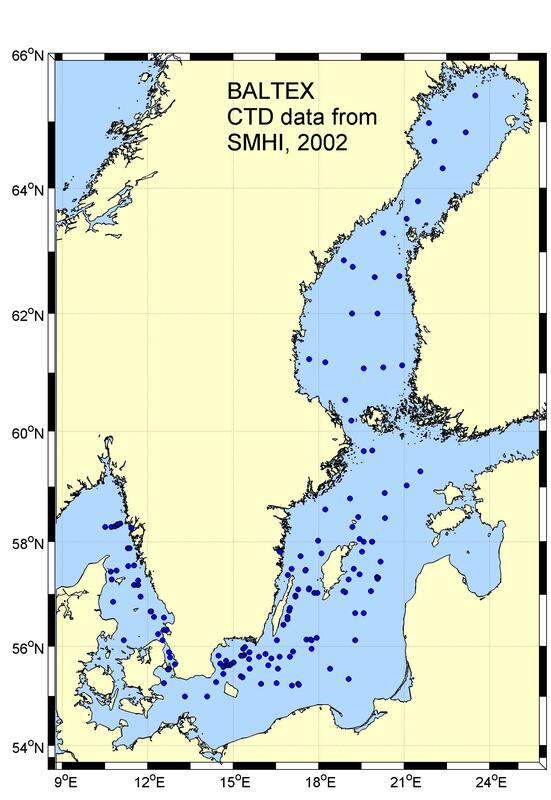 By clicking on the links below, you can see maps of the sampling locations, and also read a short description of the data set. You can come to IfM-Kiel's website by following this link. These data were collected by IOPAS' towed CTD systems, during the BALTEX coordinated enhanced observing periods. 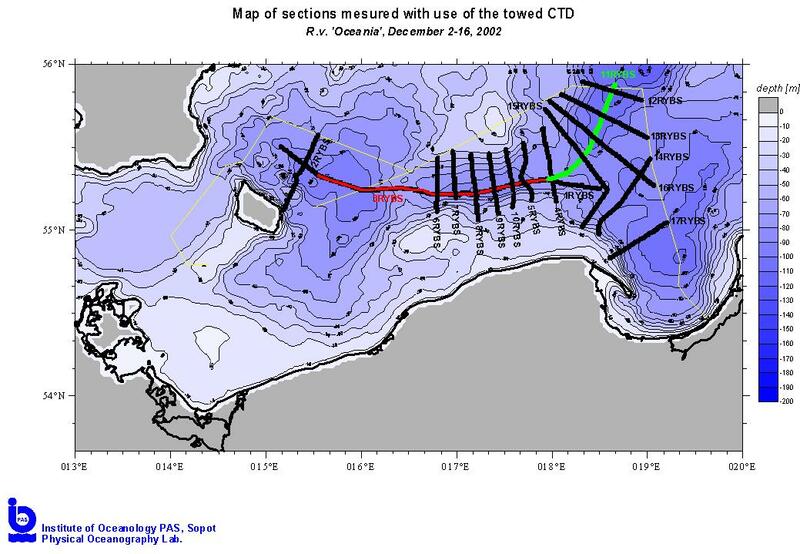 They used either the Idronaut 316 or Seabird SBE 49 CTD (the actual instrument is indicated in the file header). Records were de-spiked and binned to 0.5 dbar levels. Data were collected during periods listed below, and an example of the data availability is presented as a cruise track, and also as an analysed transect. These figures were provided by IOPAS. You can come to IOPAS's website by following this link. 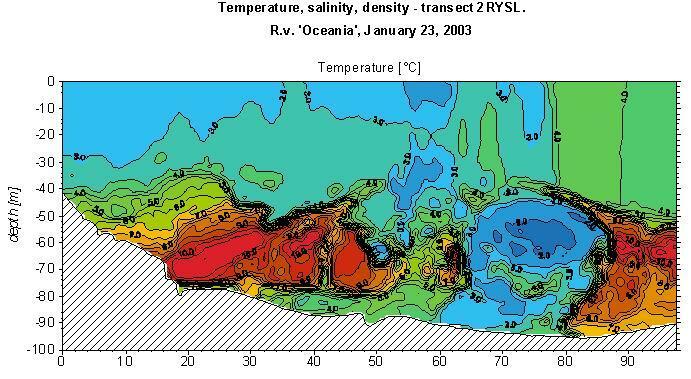 The following figure (showing only temperature) comes from IOPAS' January 2003 data. 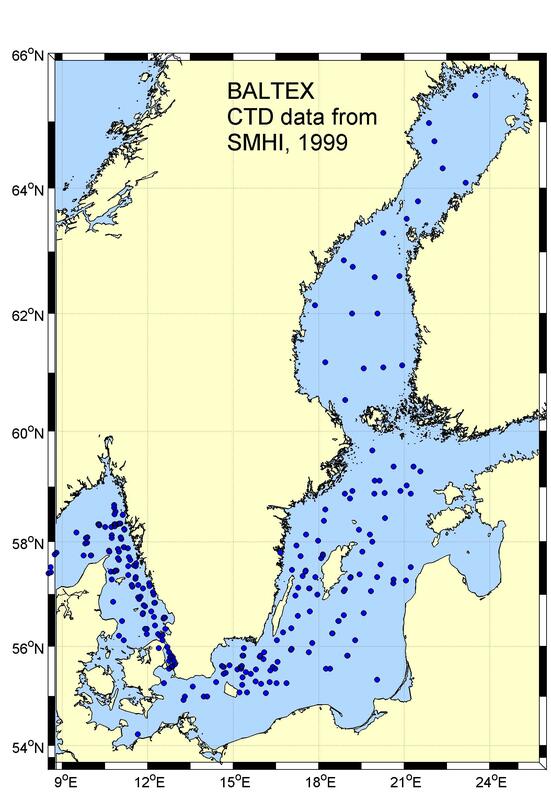 Data were collected using SMHI's General Oceanics CTD from the R/V Argos, and contain pressure (dbar), temperature (°C), conductivity and fluorimeter data. In addition, derived parameters such as density (σ θ) and salinity are also included. Data have been averaged into 0.5 dbar bins. The monthly distribution of CTD casts is shown in the table below. In addition to CTD profile data, SMHI has also supplied water bottle data (including nutrients) taken during the same cruises.